Update: Congrats! Google Chrome Fans. 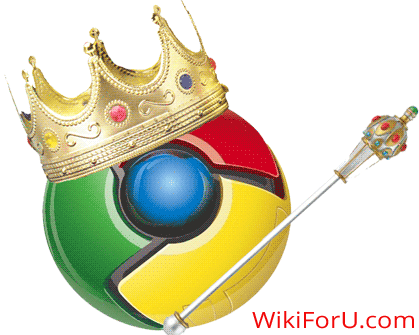 Now Google Chrome becomes no.1 browser of the world. This is a hot news that every tech-geek and Googler wanted to listen. As Search Giant "Google" already showed that they are the best of internet. They owns the No. 1 Mobile Operating System, No. 1 Search Engine and much more...As now their is a browser war between major browsers. Here also their Browser "Google Chrome" defeated the old browser Giant "Mozilla FireFox" And now the Google Chrome is the second Web-Browser of world after Microsoft's Internet Explorer. No doubt, Google Chrome is a very good browser. It starts quickly, loads pages with fast speed, have Web Store and many extensions to customize it. So it deserves this what it got. Even it deserves No. 1 position. And the reports are saying that soon it will be the No. 1 browser. As now there is a war between Major companies, Google, Microsoft, Apple etc. Everyone wants to defeat one-another. But Google is going towards success. As now the launch of Google Plus , wondered the world. Google Plus is in its Beta, but still receiving too much users. The internet survey company "StatCounter" reported that "Google defeated Mozilla Firfox first time." They said that Microsoft's Internet Explorer is still on top. According to the details of Company at December 2011, the Google Chrome browser have the market share of 25.69%, Mozilla FireFox have the market share of 25.23%. Microsoft's IE maintains lead by 40.63% market share. It is to be noted that in November 2009, Google Chrome have 4.66 % of market share. Now the results showed the hard work of Google. While Apple Safari have only 10% share. Mozilla Firfox have 20% market share.